Again most of the day was spend running around doing jobs, planning where we were going to stay and making bookings due to peak season etc. 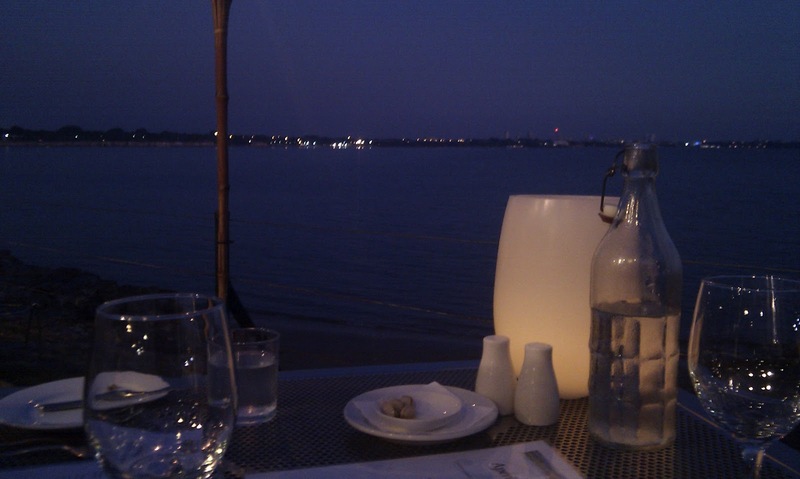 On our trip through East Point Reserve we found a nice restaurant that looked out over the water towards the CBD called PeeWees, so we booked in for a 6:30pm dinner. It was a perfect time, just on dusk. Sorry about the photo quality as it is from my phone.